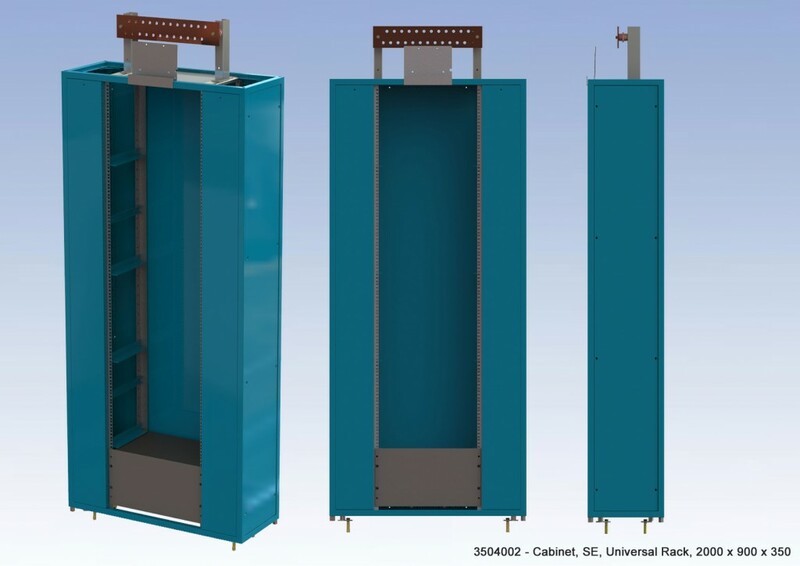 The SE Universal Distribution rack is designed for telecommunications DC power distribution of up to 1200 A. The rack can house a wide range of modules for distributing power from the primary power source to the load. Up to four modules can be accommodated; each may be up to 9 RU high. The rack is fitted with alarm wiring from each module to a central location where remote alarms can be connected.